The 20th edition of Tremblant Beneath the Stars comes alive this weekend! Come see the most impressive meteor shower of the year, learn about constellations, and even see Saturn and the Moon through a telescope. And why not witness the passage of the International Space Station too, while at it? We have rounded up a few tips that will ensure your night spent watching the Perseids in the great outdoors is both memorable AND comfortable! The Perseid meteor shower can only be seen in the northern hemisphere. This group of meteors (up to 200 per hour) is made up of debris from the Swift-Tuttle comet, observed for the first time over 1,000 years ago. Sunset is scheduled for 8:20 p.m. If you want to catch the beautiful colours of the sunset, make sure you give yourself enough time to reach the summit beforehand. If you would rather make it up once the sun is already down, you can certainly do so. 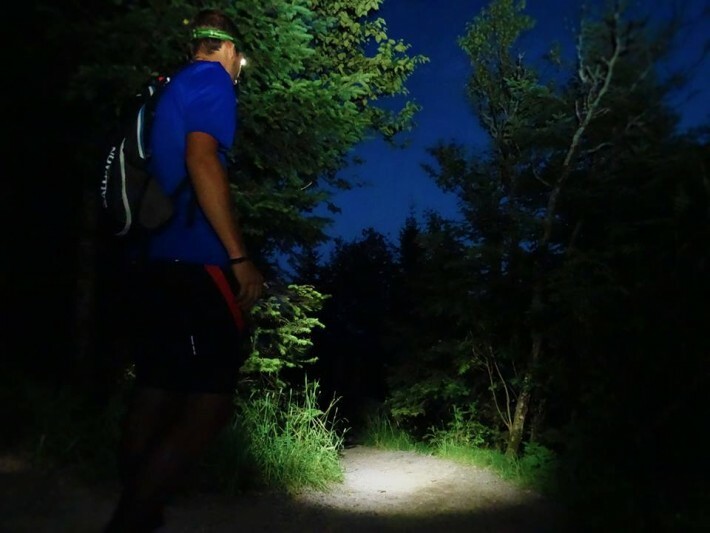 If you like nature walks, you can join one of the two guided hikes planned for 9:30 and 10:30 p.m, where you can learn more about the starry night sky above. If you followed the development, construction and voyage of NASA’s spacecraft to Pluto, then you will surely want to attend Michelle Burelle’s talk at 9 p.m. (in French) and 10:30 p.m. (in English). For a few dollars, purchase an unlimited gondola pass valid for as many ups and downs as you want until closing time at 1 a.m! If you love astronomy, remember to bring your binoculars or your telescope before heading to the summit, whether on foot or on the gondola (which will be operating until 1 a.m. for this special event – see prices above). Once there, experts from the Club des astronomes amateurs de Laval will be on deck to help you locate constellations. So many things can be seen in the sky using only a pair of binoculars: there are stars, satellites, planets, and so much more! Also, bring a flashlight with a red light bulb or cover your white light bulb with a piece of red tape. As our eyes are most sensitive to white light, choosing a different colored light will allow you to see stars in more detail. Even though it is the beginning of August, the weather can be quite cool on top of the mountain once night falls. The wind could also pick up and you won’t be very active while watching the stars so bundle up. Bring warm clothes, a hat and even some gloves. Make sure you have all the tools for a great evening. Bring a folding chair or a blanket to sit on. Bring a spray to keep bugs at bay and, if you plan to join the guided walks, choose adequate shoes. With these precautions taken, your evening is a guaranteed success! If you prefer to spend a quiet evening of contemplation, removed from the other visitors’ bustle, we suggest you download some apps ahead of time. Here are a few mobile apps that can help you identify what you are seeing above your head: Sky Guide, Starmap and Night Sky Tools. Should you want their help, the experts present onsite will also be happy to share their knowledge with you. Whether you are an avid astronomer or simply curious about it, we are confident that this coming weekend will find you outdoors, taking in one of the Tremblant Beneath The Stars! Don’t miss your chance to learn more about this fascinating universe, full of possibilities and ongoing discoveries, whether on your own, with friends or with your family!